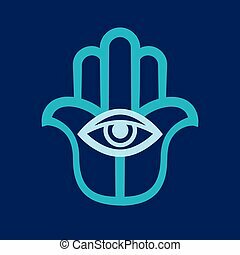 Hamsa hand or eye of fatima. 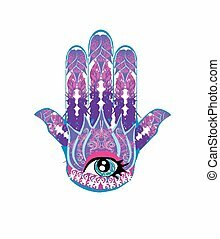 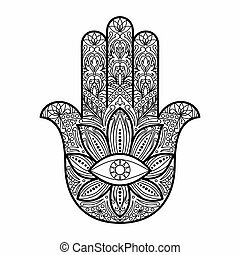 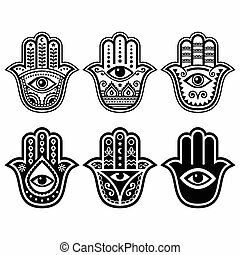 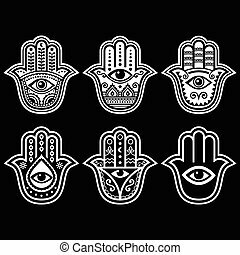 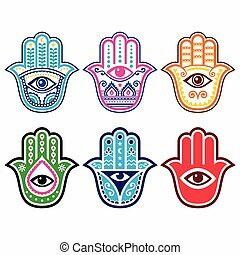 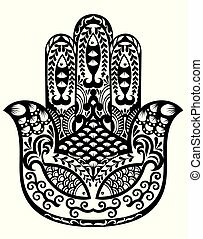 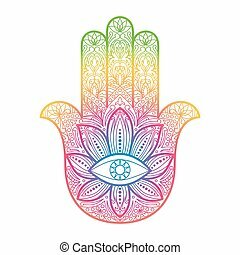 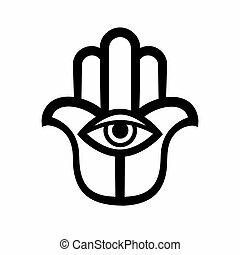 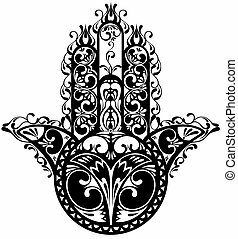 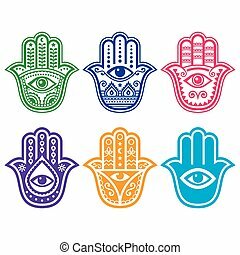 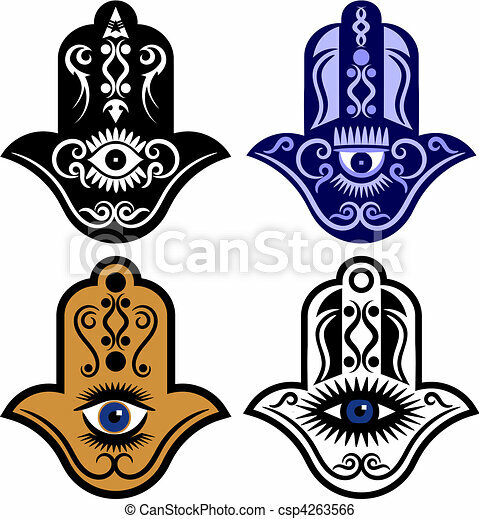 Vector illustration of a set of four hamsa hands or the eye of fatima. 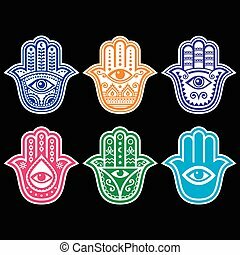 Vector illustration of a set of four Hamsa hands or the Eye of Fatima. 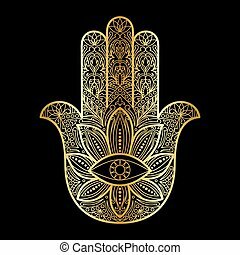 The Hand of Fatima (Hamsa), or Hand of God. 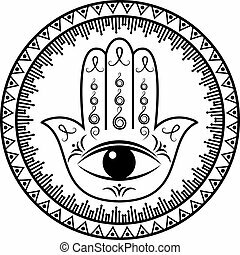 Ancient traditional sacred protection amulet of The Middle East. 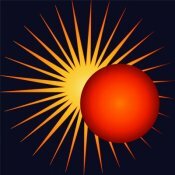 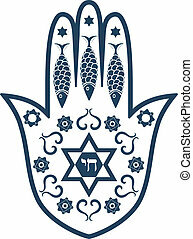 Religious symbol in the Arabic, Jewish, Indian cultures.